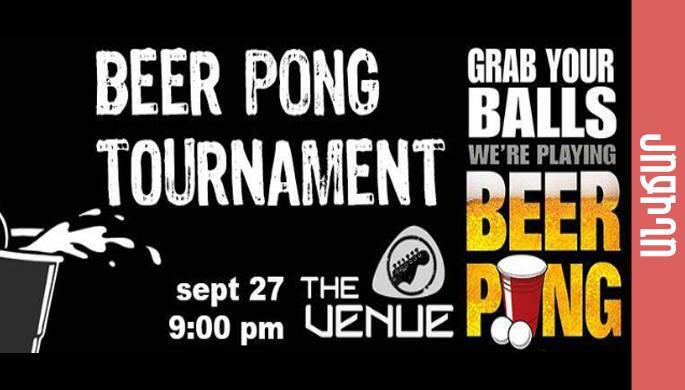 Since The Venue is know best for it's daily beer pong games, we decided to organise a legit Beer Pong Tounrament! To participate you must message The Venue's facebook page your first and last name. Rules of the game wil be announced on the day of the event. The winning team of the Tounament will get to sign their names on the beer pong table, and will have a 50% discount off their tab!